Plenty leather desk mat is designed to cover a large area on your desk for protecting your desk and adding a modern touch to the desk. Like the design? Let’s continue checking. This is a well-designed and practical desk mat & mate pad that measures 24 x 14 x 0.1 inches and weighs 1 pound. 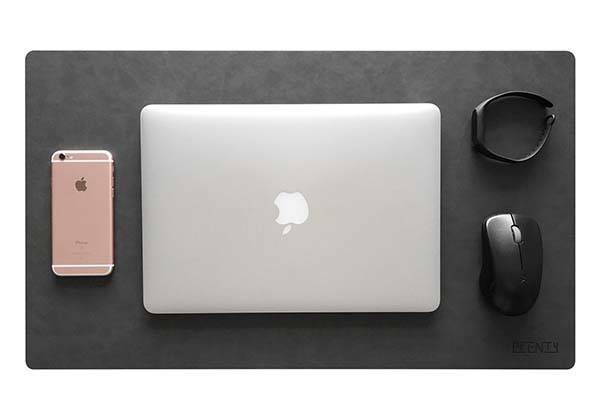 As shown in the images, the desk protector mat shows off a minimalistic and low-profile appearance design that allows it to blend well with various desks. Meanwhile, the desk mat is made from high grade leather for a durable construction and premium feel, and the non-glare surface effectively reduces your eye strain. The leather desk mat is large enough to fit your keyboard, mouse, laptop or desktop computer. Its matte finish allows it to work as a mouse pad, and the wide design lets you comfortably use your mouse without any obstacle. Moreover, its anti-slip base prevents it from any type of movement during any intense gaming or working session, and the wide design also protects your desk from scratches and spills. 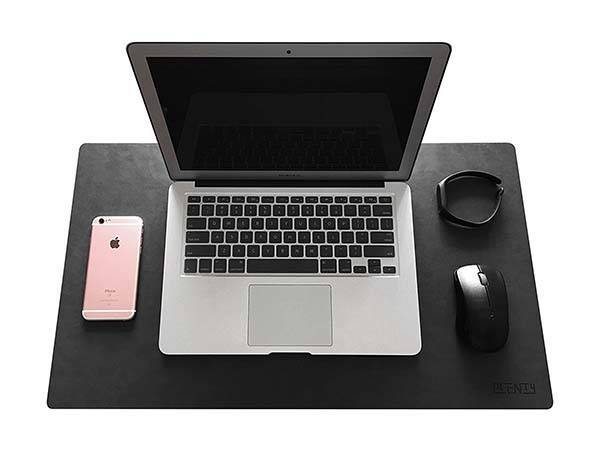 The leather desk mat is priced at $39.99 USD. If you’re interested, jump to Amazon for its more details.